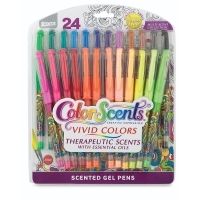 Ink infused with essential oils that promote calmness and reduce stress, WeVeel Scentos Colors Scents Gel Pens are ideal for adult coloring activities or everyday writing. 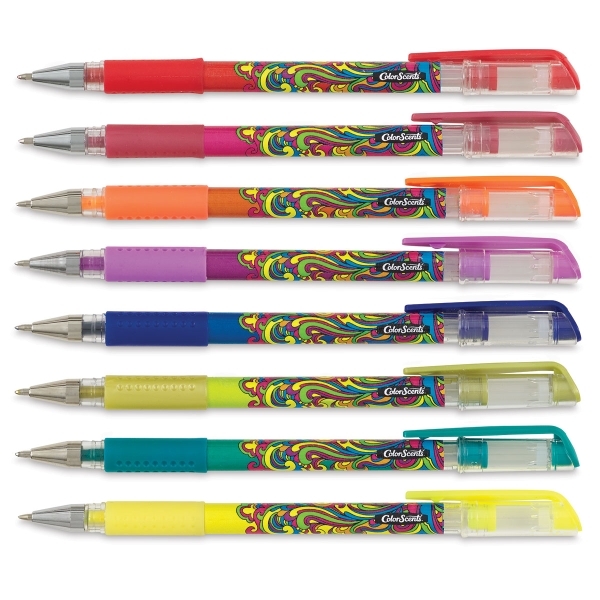 Available in 24 bright, vibrant colors, every Color Scents Gel Pen name evokes a specific scent or experience — such as Summer Picnic, Pure Concentration, Energizing Spirit, or Tropical Oasis. 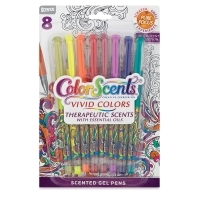 A scratch-and-sniff sticker on the package lets you sniff first, then choose your coloring mood! Set of 8 — This set includes one each of Chartreuse (Orchard), Yellow (Stress Away), Orange (Pure Concentration), Red (Energizing Spirit), Bright Pink (Summer Picnic), Purple (Memories), Blue (Summer Harvest), and Sea Green ( Tropical Oasis). Set of 24 — This set includes one of every color in the Color Scents line, including Bright Pink (Summer Picnic), Bright Red (Energizing Spirit), Red (Energizing Spirit), Deep Red (Floral Bloom), Orange (Pure Concentration), Bright Orange (Pure Concentration), Peach (Seasonal Spice), Deep Yellow (Honey Blossom), Yellow (Stress Away), Chartreuse (Orchard), Bright Green (Orchard), Green (Orchard), Sea Green (Tropical Oasis), Teal (Tropical Oasis), Sky Blue (Peace & Calm), Blue (Summer Harvest), Dark Blue (Summer Harvest), Lavender (Relaxation), Purple (Memories), Bright Purple (Memories), Brown (Indulgent Treat), Warm Brown (Potpourri), Cool Grey (Spring Healing), and Black (Bakers Delight). ™ WeVeel is a trademark.® Scentos is a registered trademark. 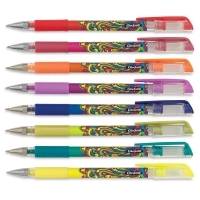 ™ Color Scents is a trademark.